Through the years we’ve forged terrific relationships with major app networks to help our clients market their award winning global apps and games. These relationships allow us to secure fantastic rates that we pass directly to the client. We never mark up on media. We’re a performance agency, and content management is what we do. Full auditing service of the UX, player flow, payment wall, stores, in­app, ASO, engagement hooks, and key KPI’s Recommendations backed with data analysis. We leave no stone unturned. Measuring D1, D7 and D30 retention, churn, session length, purchase flow and LTV. We can help you set up and manage in­game analytics and benchmark key engagement metrics. We are familiar with and are in partnership with major popular analytics tools/providers. We have access to all apps and publishers data worldwide. We can benchmark your stats against competition. Identifying competitors country specific downloads and revenue. 75% of app users churn within 90 days. Make sure you’re in the 25% that matters. In­app and push messaging boost retention by 3 x. Behavioural notifications can increase engagement and have a dramatic upshift on revenue. We strategise placement, frequency and networks in order to rocket fuel your revenue. Contact us for a free usability analysis of your website. app or game home page and let us show you how easily we can improve your results! Engagement and revenue tracking: ROAS, ARPU, ARPPU, LTV, Paywall conversion. We are experts in all areas of revenue and engagement tracking. Knowing the correct information makes a difference. We track every step of the onboarding and FTUE funnel and provide accurate in­game data. Drive monetisation Detailed analysis of your monetisation strategy. We look at LTV and ARPU by player type, balancing the game economy to offer an actionable and successful monetisation strategy. 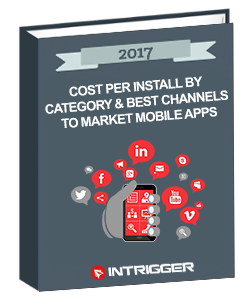 At InTrigger we provide actionable data backed with analytics and real time industry insights, which helps us provide you with a detailed strategy to increase revenue and exposure. If you’re looking to get serious about pushing your business further, then get in touch today and lets get your app or game monetising for you.